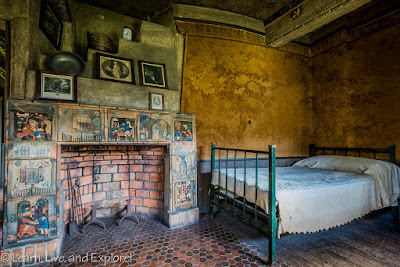 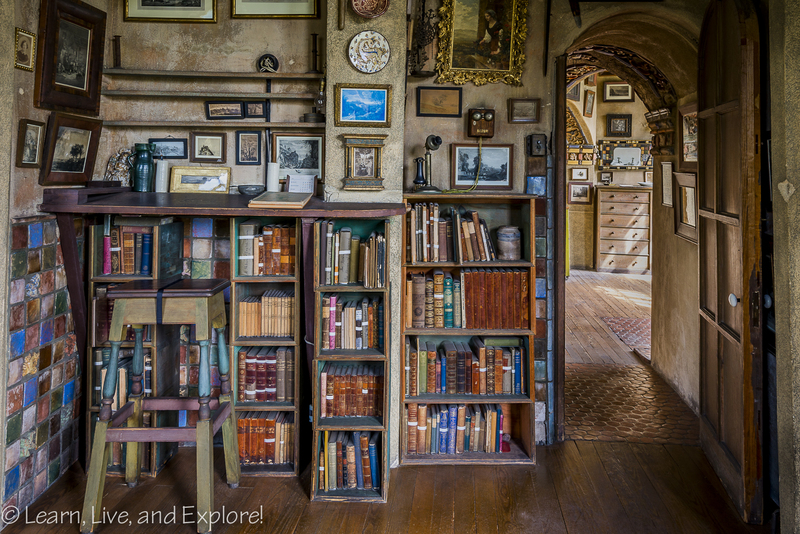 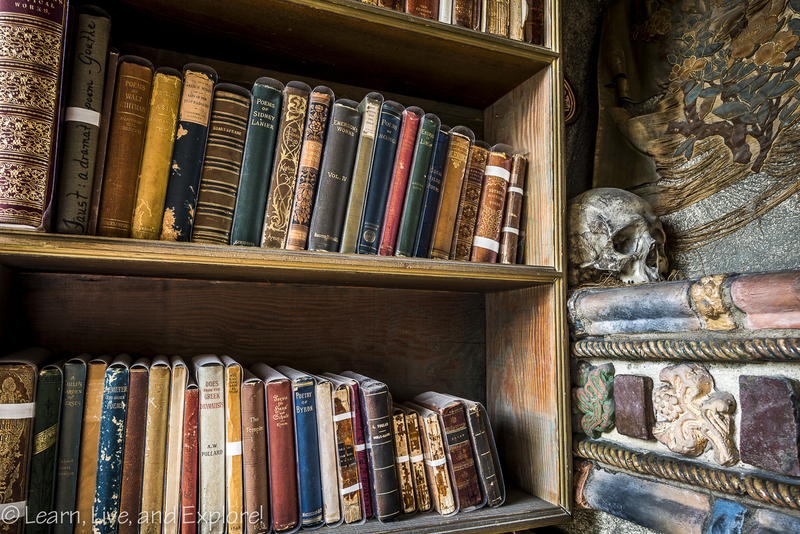 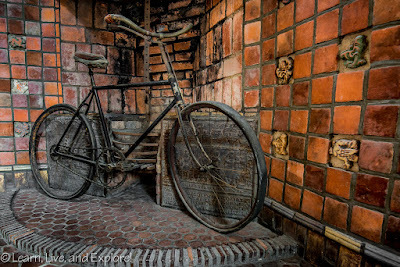 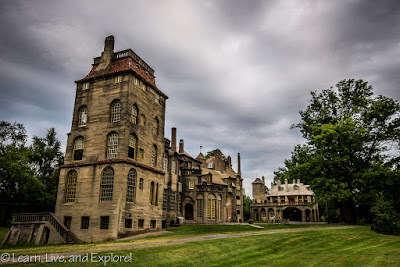 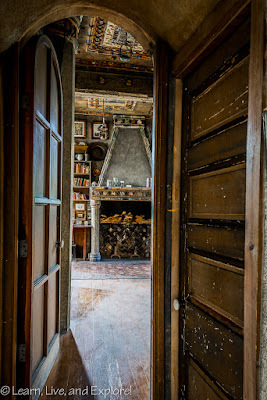 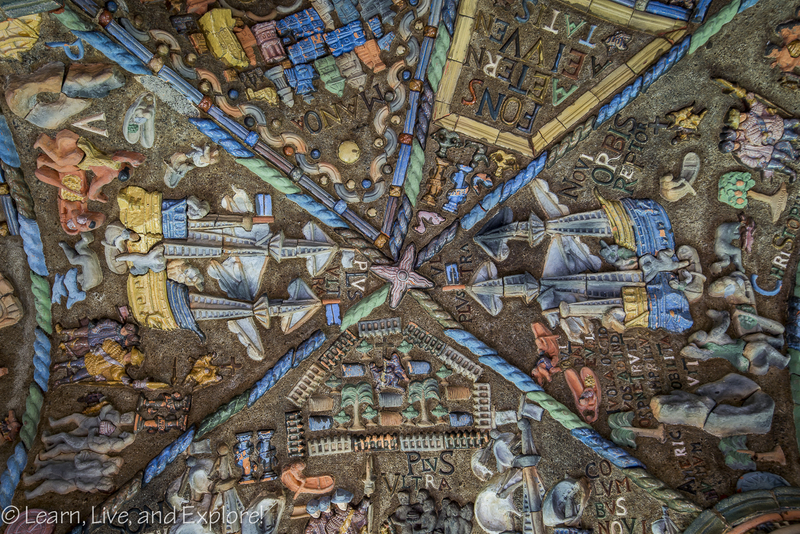 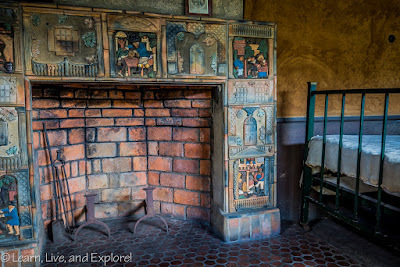 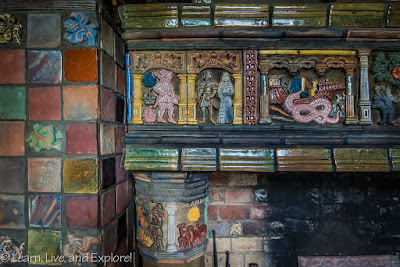 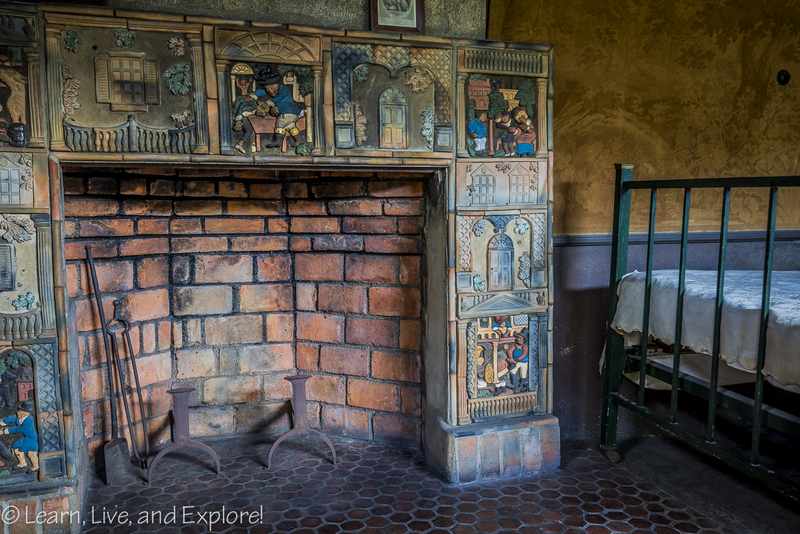 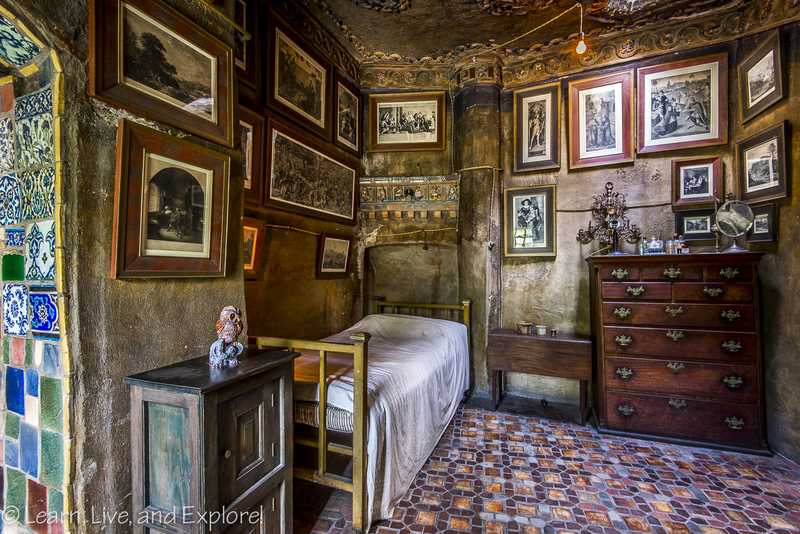 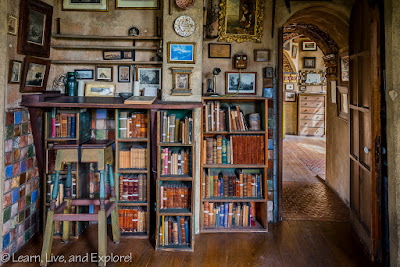 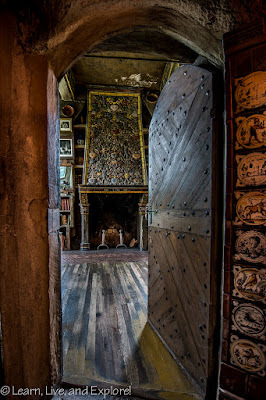 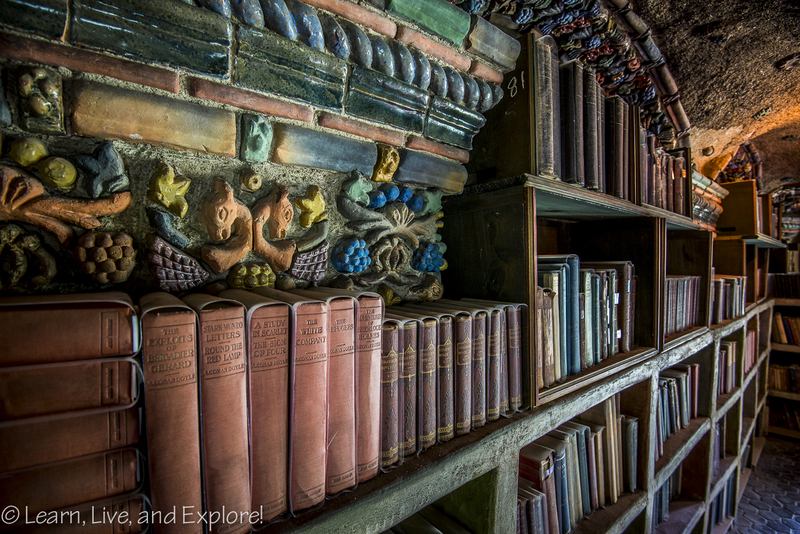 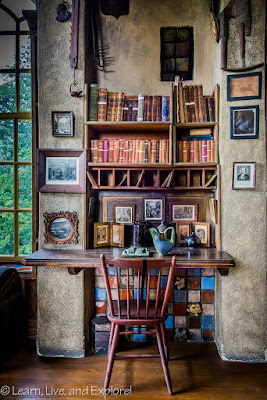 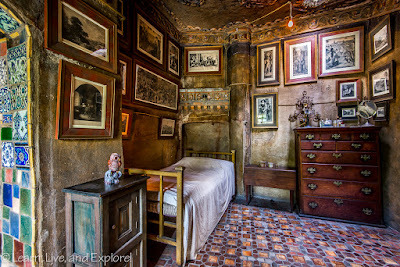 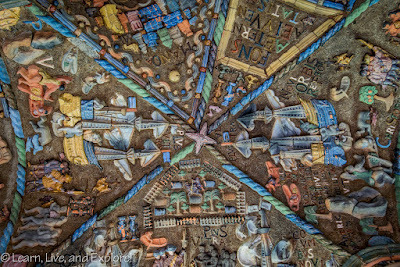 Historic and Wacky Fonthill Castle ~ Learn, Live, and Explore! Fonthill Castle in Doylestown, Pennsylvania is the home of Henry Chapman Mercer built between 1908-1912. 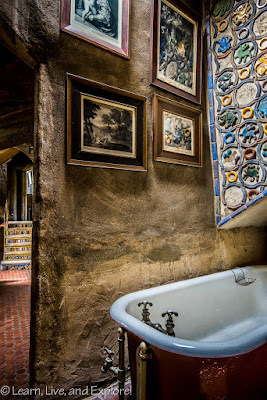 Mercer was most noted for his Moravian ceramic tiles, and he used his home as a showcase for his tile collection, even placing explanations (e.g. 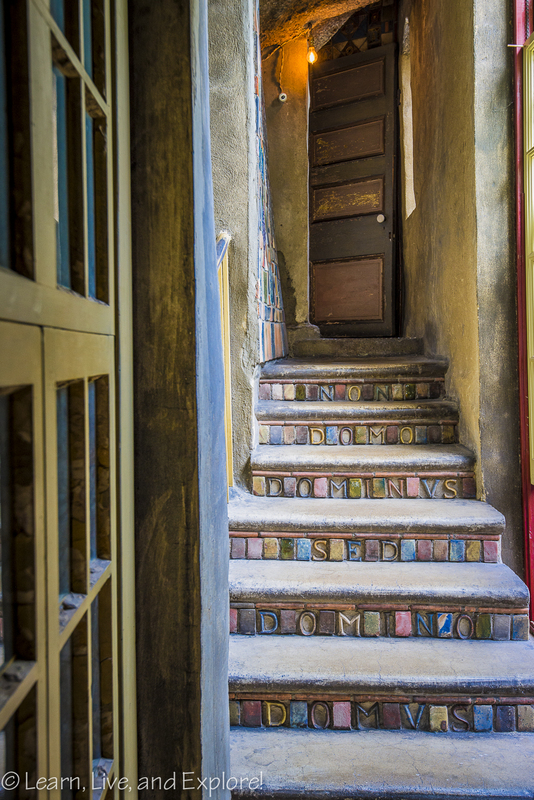 location acquired, scene depicted, date produced) of some of the tiles using ceramic letters that were positioned adjacent in the concrete. 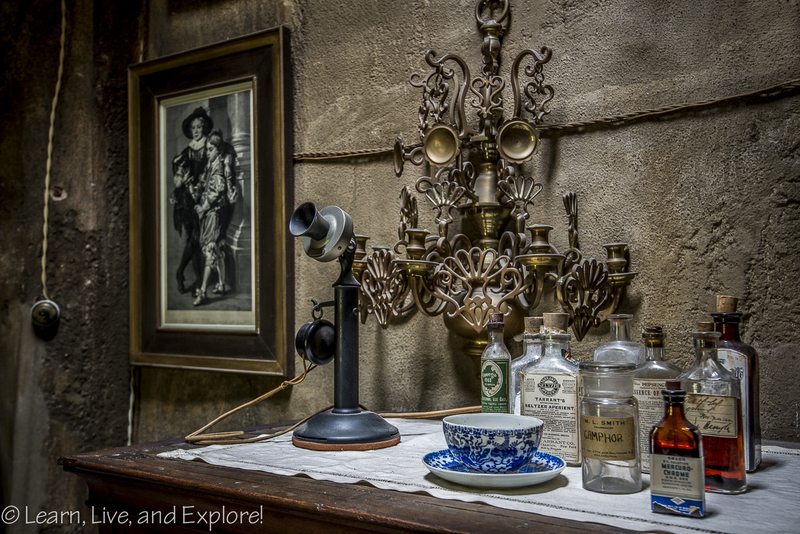 No ordinary plaques for Mr. Mercer! 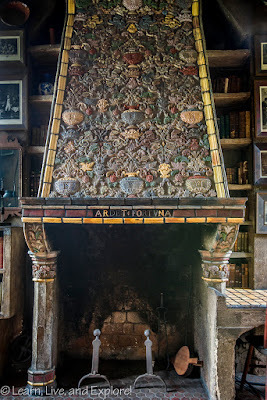 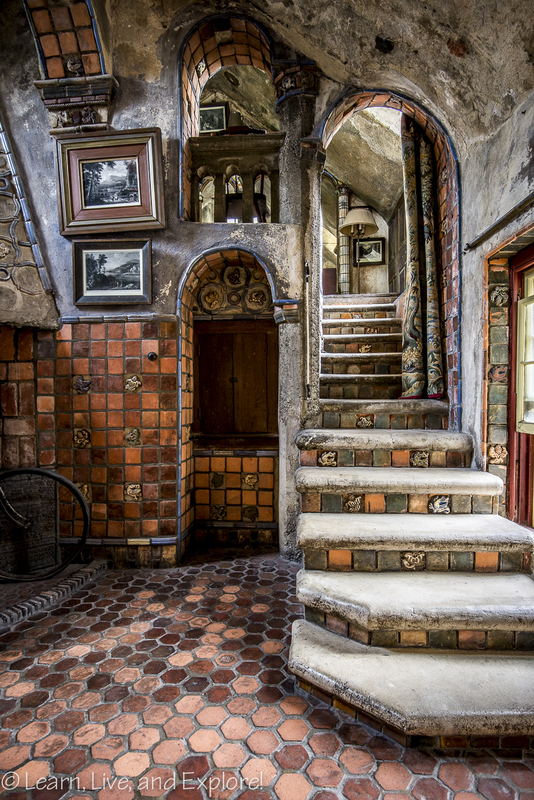 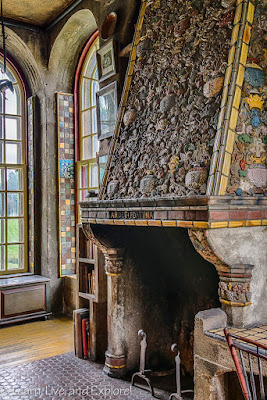 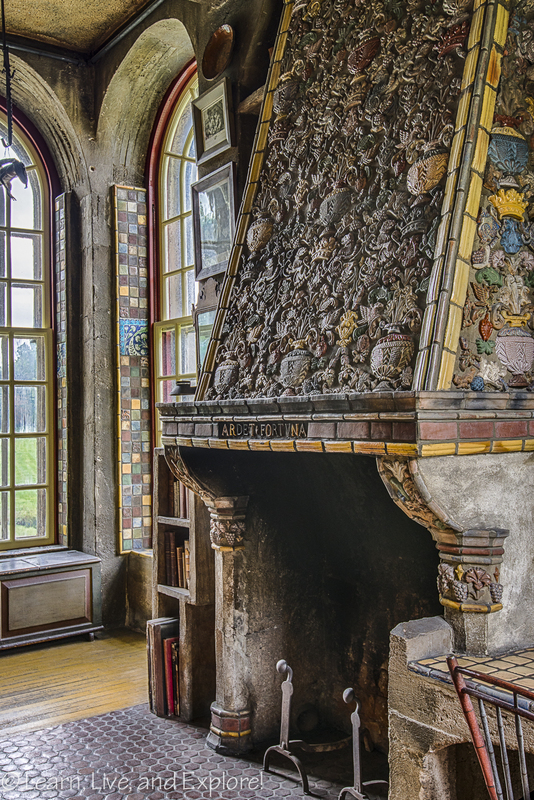 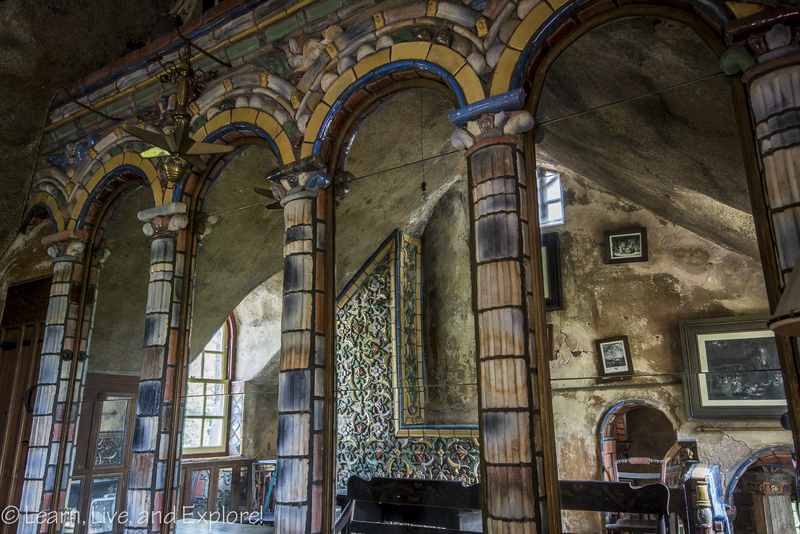 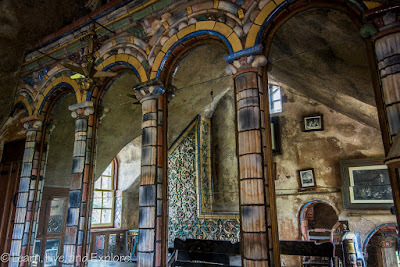 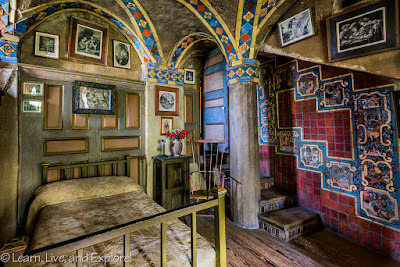 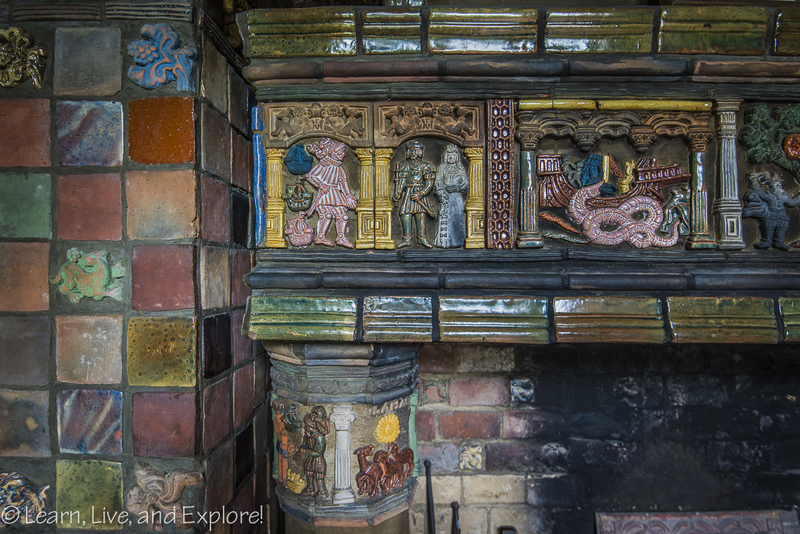 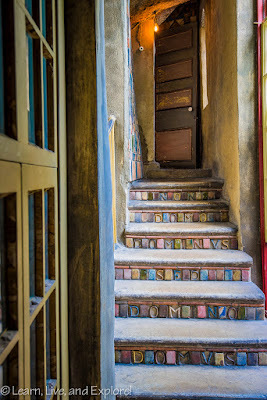 As a remaining example of the American Arts and Crafts style popular in the late 19th century, early 20th century, Fonthill Castle was built using the reinforced poured concrete technique and the room designs were inspired by Medieval, Gothic, and Byzantine architecture. 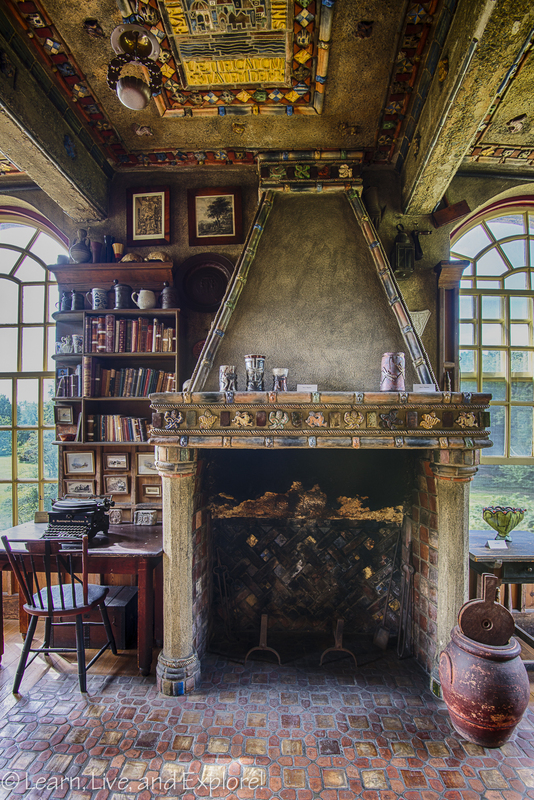 Upon his death, the home was turned into a museum. All of this combined to create a fantastic photo tour opportunity. 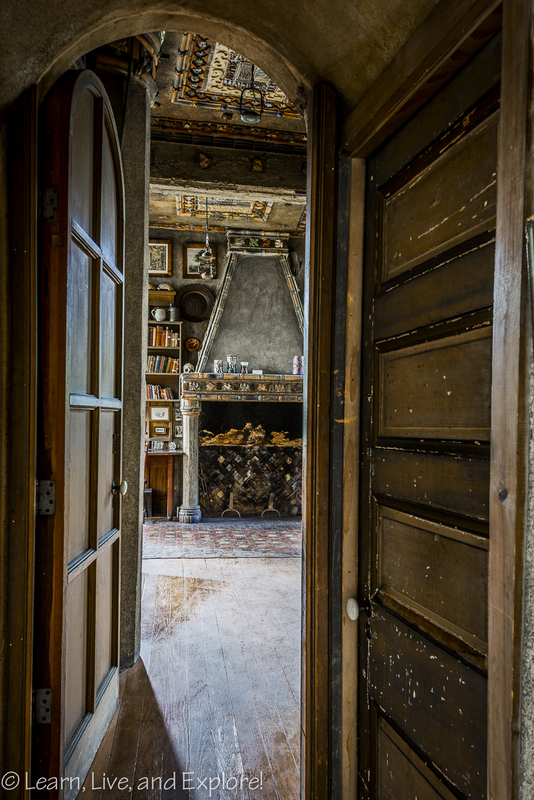 Interior photos are not allowed on the regular tours of the home. 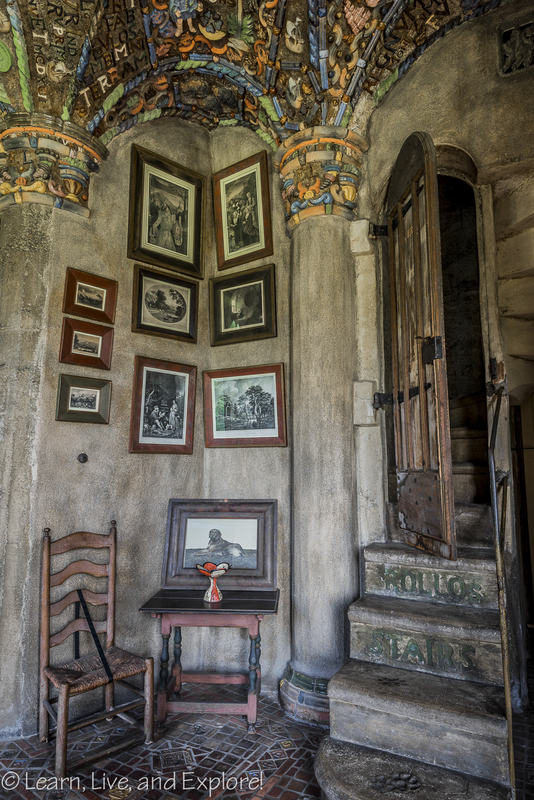 Instead, photography tours are organized by various interested groups during the morning hours before the Sunday opening time. 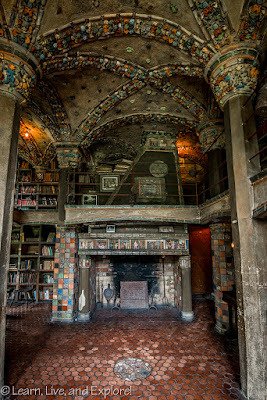 I went with a D.C. Meetup group, and we had about three hours to shoot as much of the interior as we could. 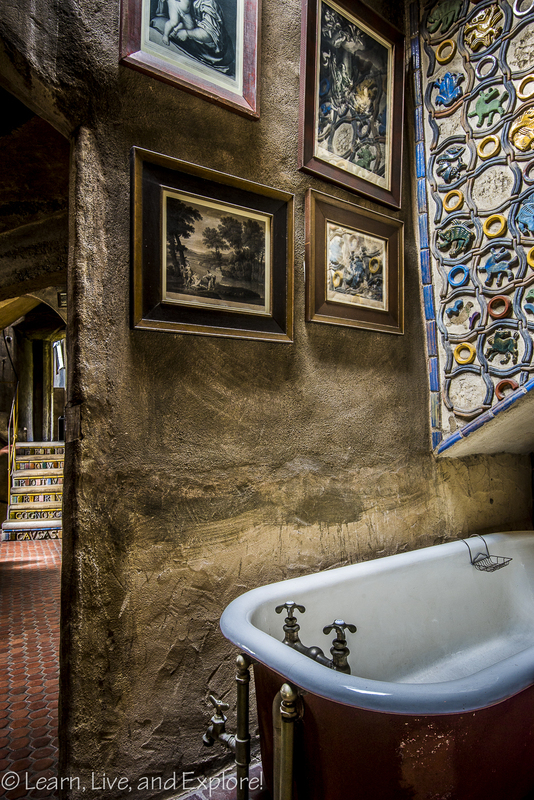 It was a feast for the eyes in every room. Lots of uneven surfaces, narrow staircases, colors, odd floor levels, and corridors to play with, as well as the challenges presented by a dark, concrete building interior with low light emitting bulbs and Mercer's preference for no symmetry. 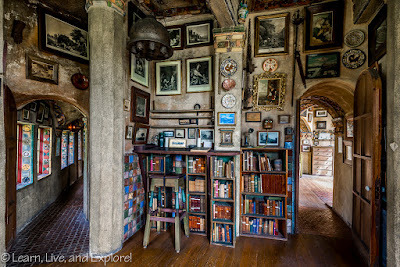 Fonthill Castle is a great location to practice HDR photography, as well as processing tricks to fix the inevitable dark shadows. Here are some of my favorite shots from the shoot at Fonthill Castle. 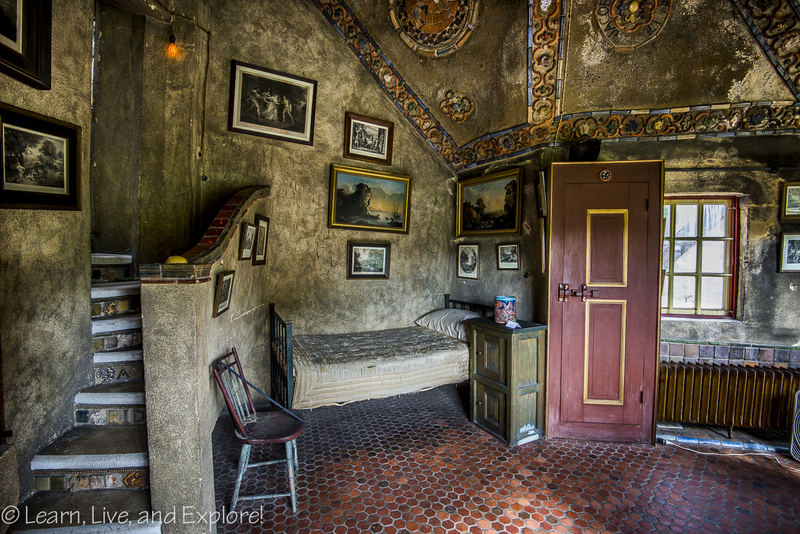 Every photo was taken using my wide angle, 16-35mm lens.